I'm in my mid-40s, surgically menopausal since 2005 (HRT from 2003-2005 but told to stop HRT after 2 FNH tumors resected from liver). 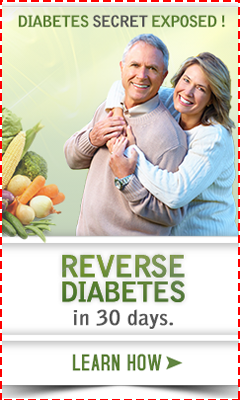 Have suffered chronic fatigue, weight gain (40 lbs) & inability to lose despite diets, programs, supplements, exercise, etc. Hypothyroid since 2000, been on Synthroid w/TSH & FT4 labs WNL. Also diagnosed w/narcolepsy last year (no cataplexy) & doing ok on meds for the EDS. Overall, just feel bad most of the time. Retired from the military a few years ago so I got different docs all the time, none ever really wanted to look at the bigger picture; finding that same mentality now, unfortunately. Calcium has been elevated for a while (10.3/2003, high-9's/2005, 10.6/2009, 9.7/May 2010 & 10.8/Sep 2010) but of no apparent concern. Primary doc (since 2009) mentioned elevation & just wanted to "watch" it, but after reading Parathyroid.com I asked for a PTH - they did one and said it was around 65 (normal?). I'd also asked for referral to a sleep doc who is known for outside-the-box thyroid treatment; he changed me from Synthroid to Armour (1 week ago) & ordered complete thyroid labs. He left message 2 days ago saying thyroid numbers were ok but Vitamin D was low (29). He told me to take 4000 IUs per day and we'd check labs in a few months, hoping to get it to 50. Next appt isn't until mid-Dec but I will have to call in about 2 weeks if I want refill on Armour. I already take two Caltrate-D 600s per day (have for 2+ yrs), get plenty of sun, drink/eat dairy products & even eat fortified cereal about once a week. 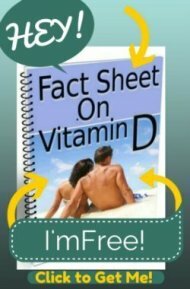 What I read on Parathyroid.com & this site now has me scared to take so much Vit D, especially without labs being checked, but I don't know how to "force the issue" since my prim doc thinks all is well & didn't even want to give referral to thyroid doc - he mentioned (before recent labs) that elevated calcium wasn't necessarily a problem as there is a formula with albumin (avg 4.6 for 11 tests since 2004) & protein (avg 8 for 11 tests since 2004) - but didn't tell me formula or how it applies to me (all I find online is for vets/animals!). I think if I push this, these 2 docs (and even my own family) are going to make me feel even more like a hypochondriac. I just don't know what to do! I live near cities w/parathyroid docs, but I would need either a referral or my husband's support to pay out-of-pocket to see someone...what should I do? Thanks in advance for your help! Well, it sounds like you've done your homework going to parathyroid.com and learning about high calcium levels. Unfortunately, the only 'next step' for you is to get a second opinion and/ or a referral to a PARAthyroid doctor (not a 'thyroid' doctor as that is a 'regular' endocrinologist and not a 'parathyroid specialist'). All that I can recommend to you is that some people have been able to actually speak to the doctors at parathyroid.com and get some help there. Unfortunately, this is a medical issue and not a 'nutritional' issue, so I can't help you out other than you tell you to not worry about what people think. You have to get the help that you need regardless of what people think of you. I have the same issues. High calcium, low Vitamin D and normal PTH levels. I will let you know if I find out anything when I go to see the Doctor. Maybe you can help me. I have had numerous blood tests and the calcium has all come back high. The first one was 11.6, the second one is at 10.5. My ionized calcium is at 6.09 which is also high. My PTH is normal and my urine 24 hour looks to also be normal. I have completed a mammogram, colonoscopy, pap smear to rule out forms of cancer. The only one that they have not completed is a bone scan. Could this still be a parathyroid issue, or something else? I could really use your help. I have also lost 36 lbs over the last several months and not meaning to.